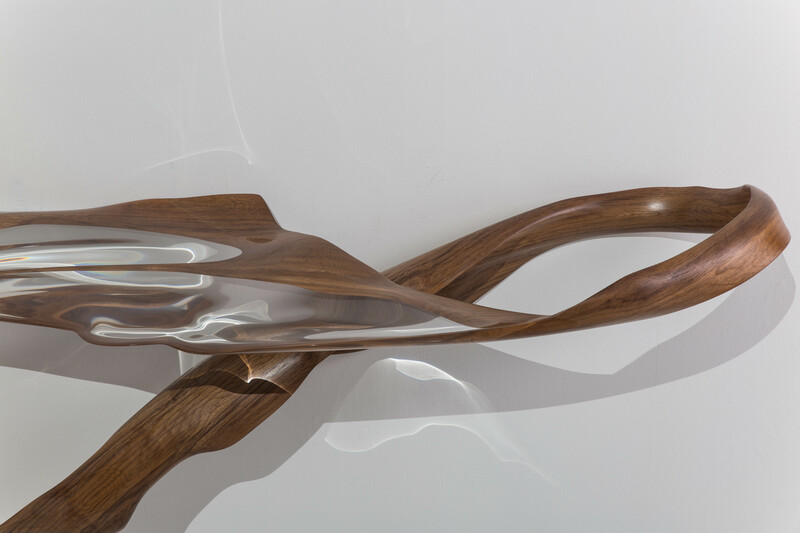 Marc Fish’s sculptural Adhesion Console, hand-carved from American black walnut, showcases Fish’s incredible mastery of today’s most refined practices in micro stack-lamination. 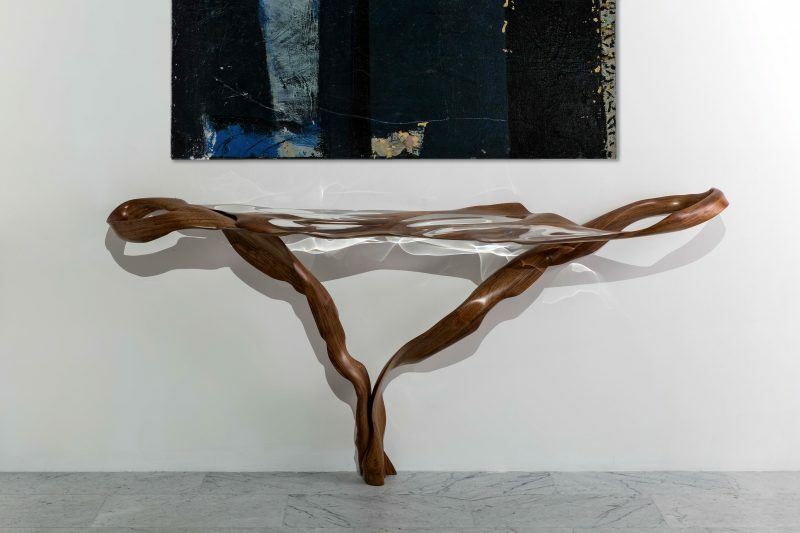 Manipulated into sinuous layered shapes, the wood has been hand-carved, sanded, polished, and finished with oil and wax. 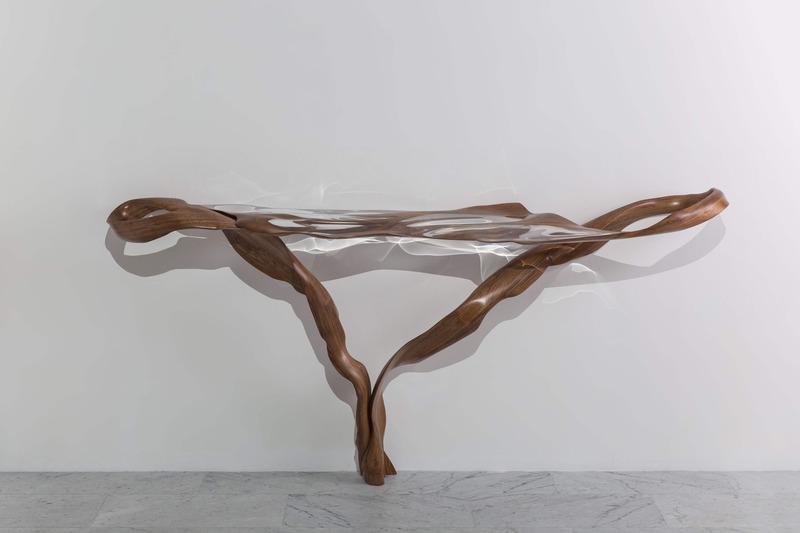 This is the first in a new series of works in which Marc Fish explores the aesthetic nature of human and plant biology. The work’s title reflects this thematic exploration— the word “adhesion” refers to an abnormal union of membranous surfaces due to inflammation or injury. 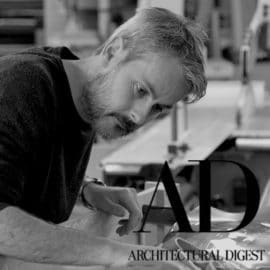 In this first piece of the series, Marc has taken inspiration from organic fibers and how they repair when torn. The table in walnut and clear resin appears to be torn almost to breaking point with only the smallest pieces remaining and the spaces left to be biologically repaired. 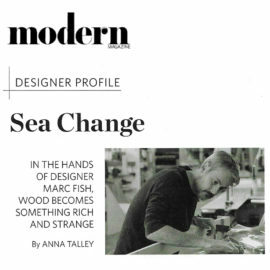 Marc Fish constantly strives to transcend the barriers of art, design, sculpture, and furniture. 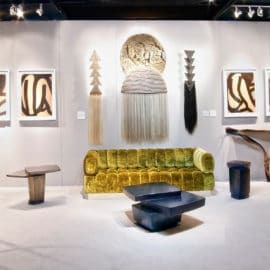 His sublimely unique works possess a timelessness that could be found seamlessly in the most contemporary of settings to the most traditional. Exploring the Victorian obsession with natural history, these one of a kind pieces are created through an incredible mastery of practices in micro stack-lamination. 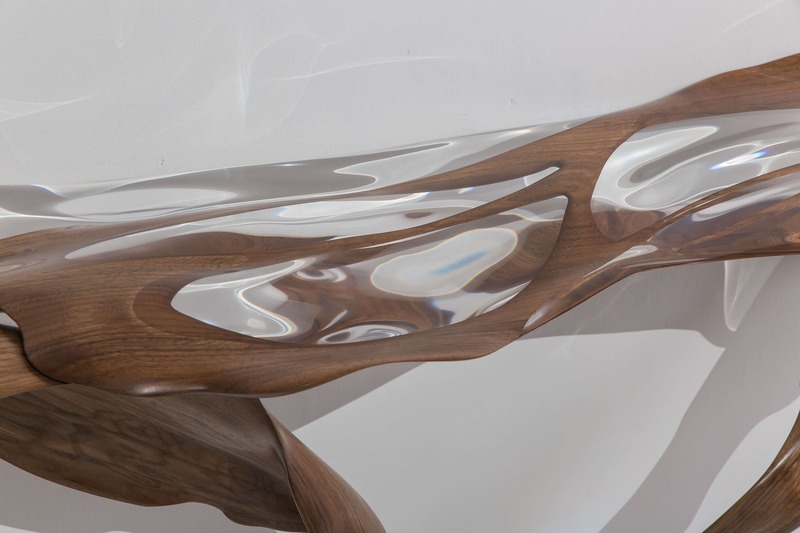 While the curvilinear forms of Fish’s works harken back to Art Nouveau, his process pushes the limits of 21st-century furniture design.